The Temprite indoor IFX Duct Furnace offers complete flexibility to the engineer and owner to meet any disgn need. Controls can be set up for space heating, make-up air or a combination of both. 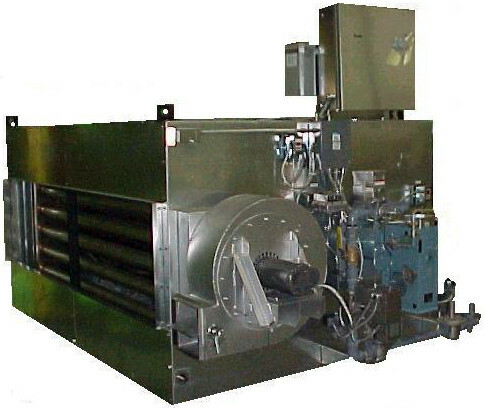 The standard four pass indirect fired duct furnace is a horizontal-suspended unit. IFX series duct furnaces have nominal heating capacities from 312,500 to 7,500,000 BTUH (input) and air handling capacities from 2,300 to 81,000 CFM.